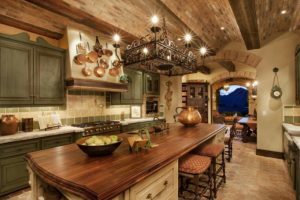 There are so many styles for your lovely kitchen, however, the backsplash is the one that makes it eye-catching for the style. 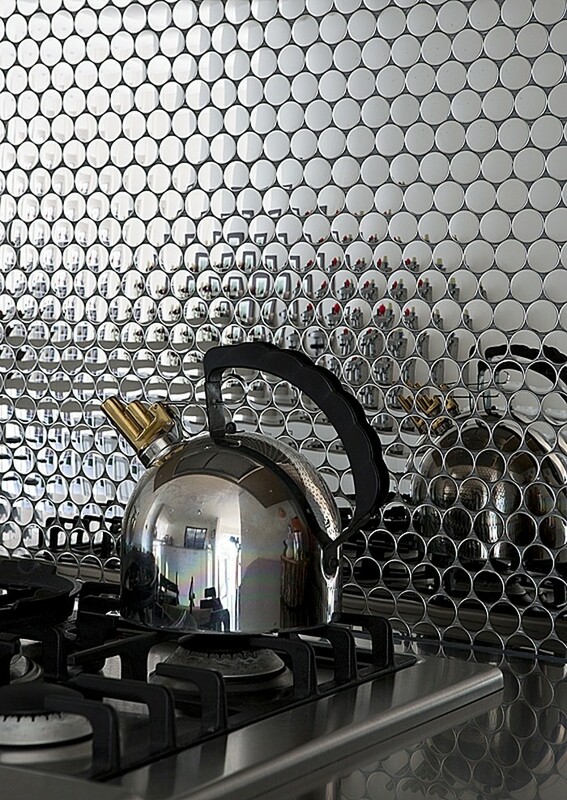 There are so many ways to make the backsplash looks amazing like using tiles or stainless steel. 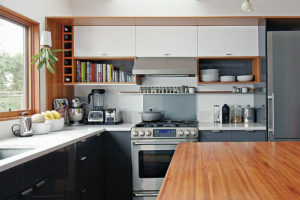 The modern kitchen style usually decorates with the stainless steel to add the patterns. 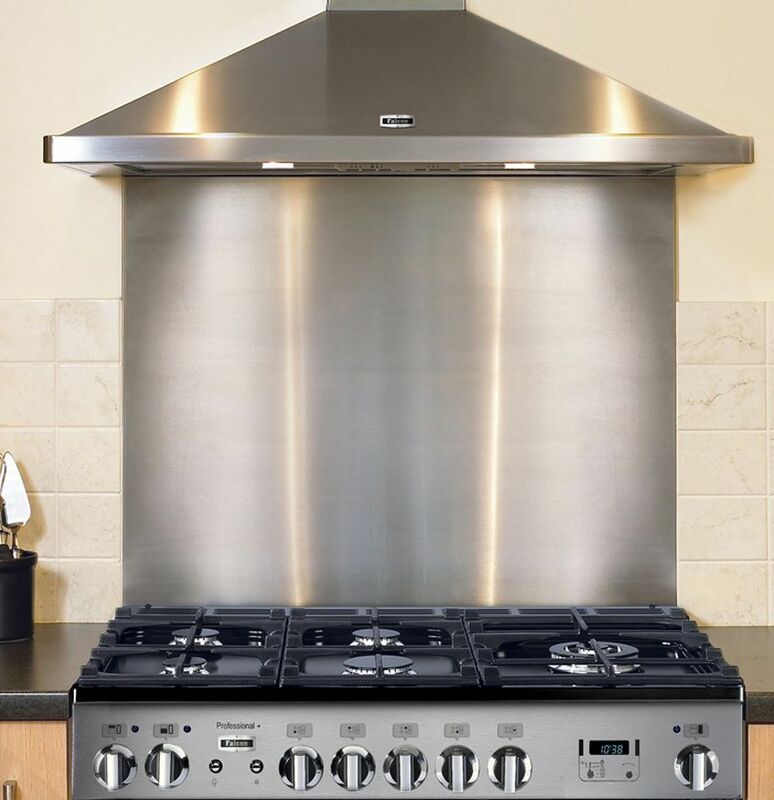 Things that you should know about the stainless steel as your backsplash is on the budget, it has good durability, flexible installation, easy to clean up. 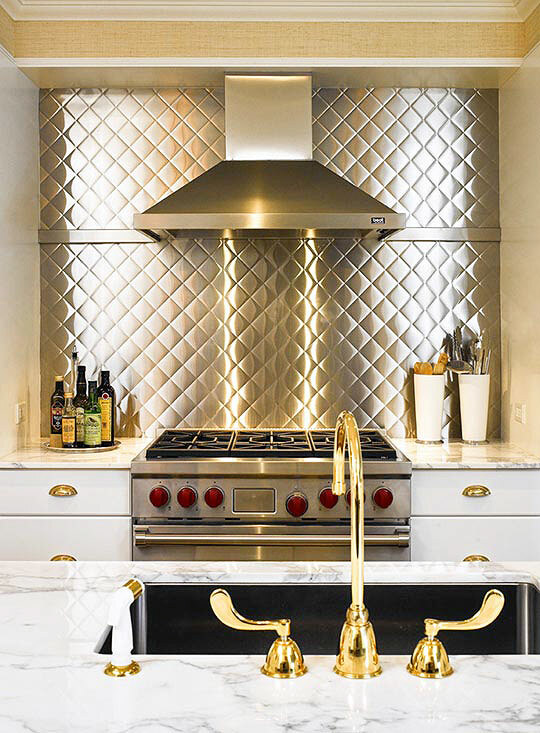 To know more about the design of the stainless steel kitchen backsplash, take a look at this list below! 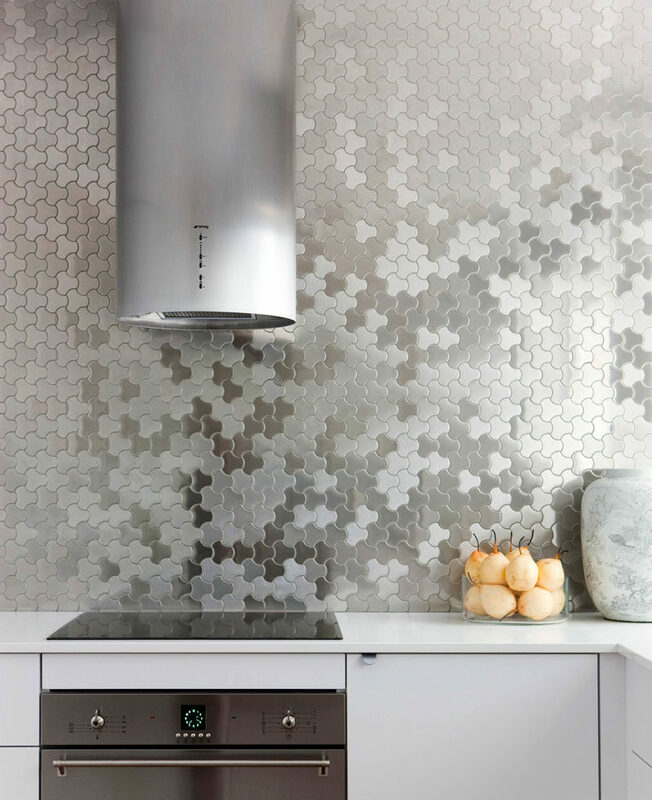 The simple modern look of this stainless steel backsplash with the brick looks is literally brought the contrast to your kitchen. From far away, it might look like a clear mirror, which is a plus! 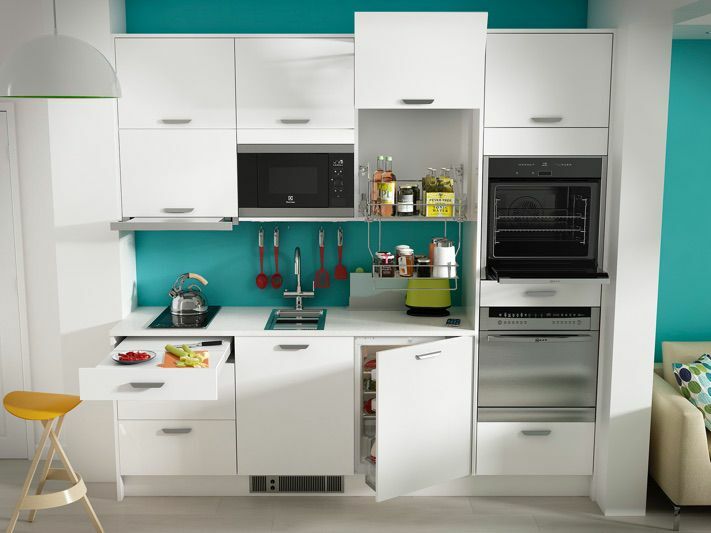 The style like this is very suitable for modern and minimalist style for your kitchen. 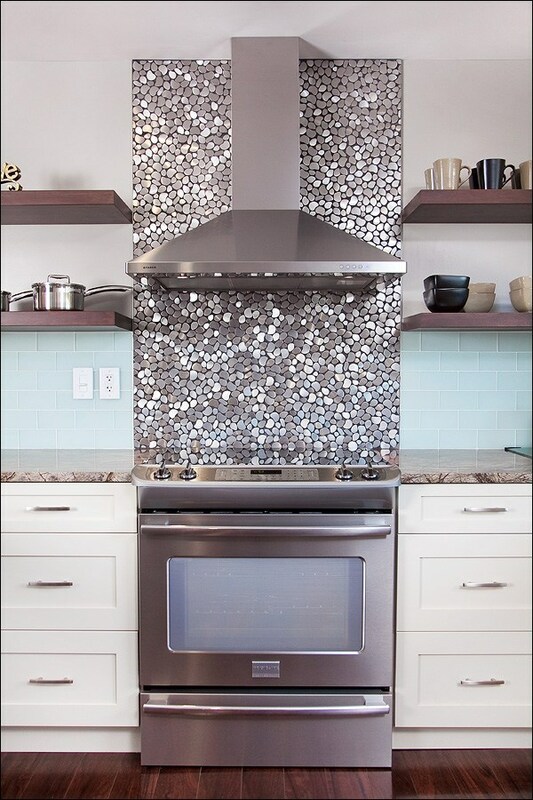 A single cut kitchen backsplash like this is absolutely brilliant! 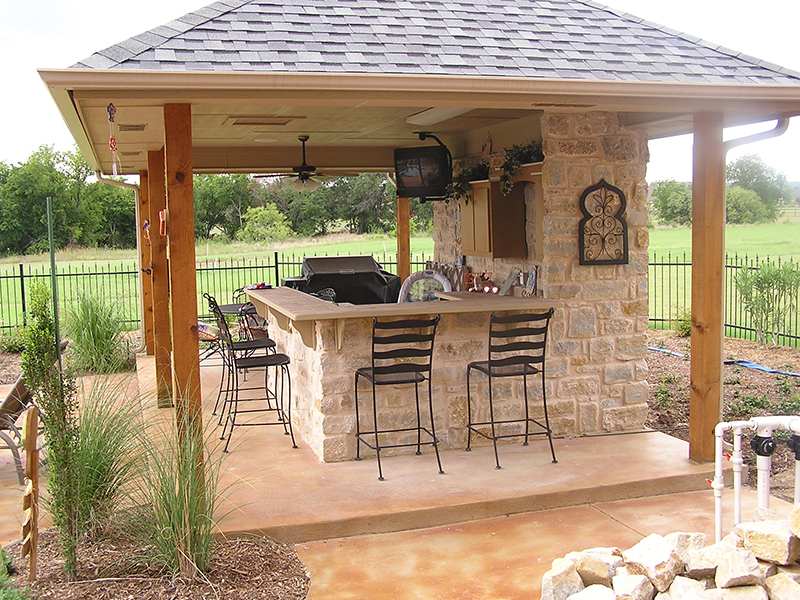 Since it does not have any pattern, however, it brings contemporary to your kitchen at different levels. The single cut like this is also really easy for you to see the spots of dirt and very easy to clean it since they are sleek and straight. The rhombus pattern looks are incredibly elegant. If you love elegant looks to your kitchen, choose this! This pattern is really suitable with golds and white, it also brings the contemporary looks to the kitchen style. This simple circle shape pattern for backsplash kitchen bring your ordinary kitchen to look elegant and modern at the same time. The pattern gives the stylish looks and updated! Choose this pattern for your manly style kitchen to contrast the dark tones. Did you know? The quatrefoil is the resemble of the flower and leaves. The pattern of quatrefoil is very unique and stand out! This pattern does not only bring a chic atmosphere to your kitchen but also it is very suitable for the Morrocan kitchen style. The finishes stainless steel with texture is a good choice to get your kitchen to look contemporary with a traditional touch. 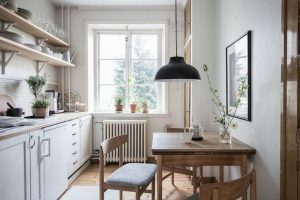 It looks very simple yet it also gives an extra contrast to your kitchen. It is also one of the styles that very easy to wipe the stain off. If you like the simple look but also want to give a little personality to your kitchen, this pattern is suitable for you! 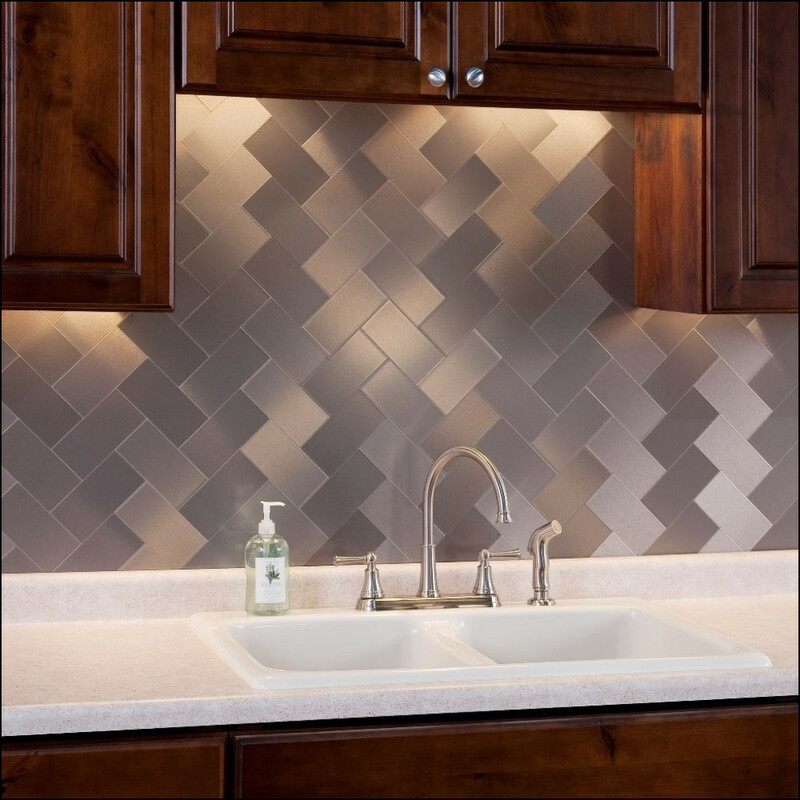 Combining two materials for your backsplash? Why not! It really gives the modern and luxury looks to your kitchen. Since both of the materials are heat resistant, they really look gorgeous together. It gives a different texture in one, also it gives two tones of colour for the backsplash which is amazing with that own way! 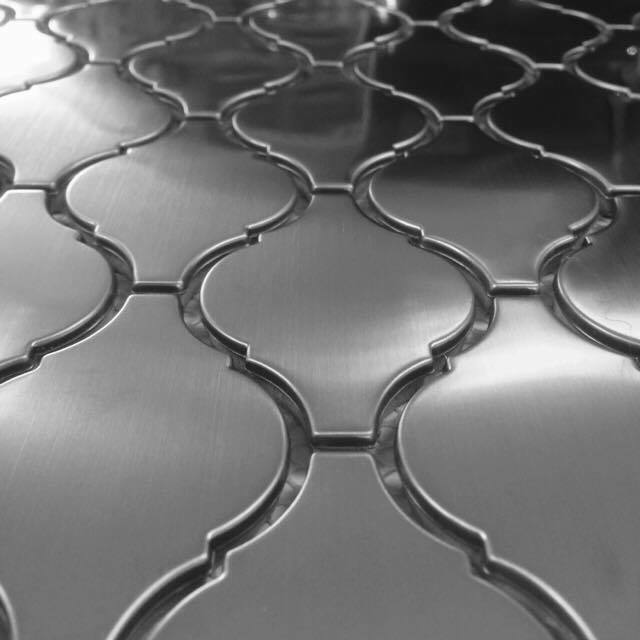 If you are looking for the elegant pattern for your stainless steal kitchen backsplash, this is the answer! The unique squares pattern like this may look simple but they bring the contrast looks to the kitchen style! The pretty pattern like this is very suitable for your modern style, it gives the eye-catching look! 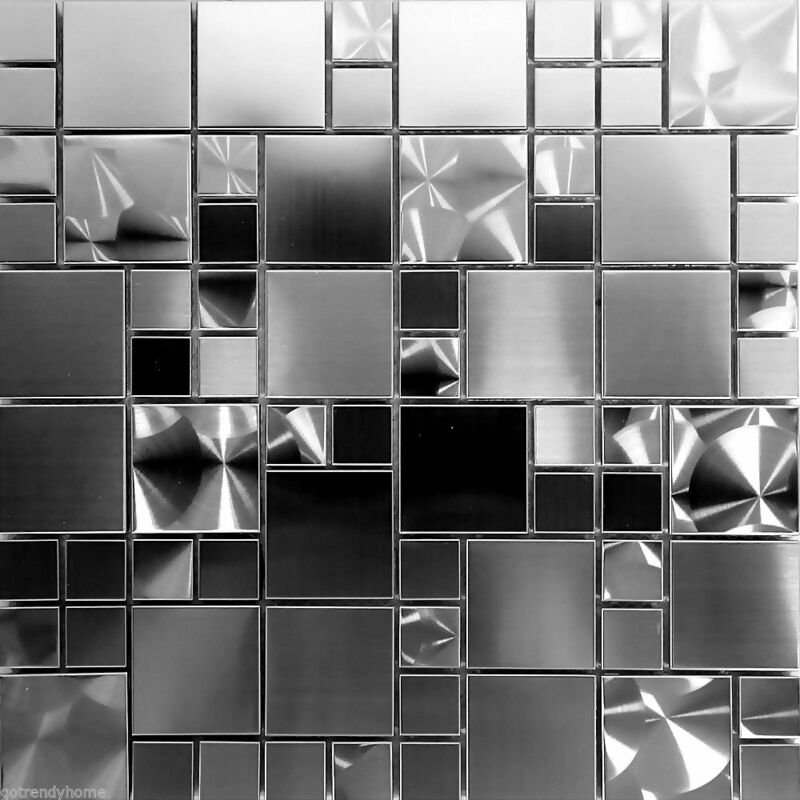 The diamond shapes of stainless steel for kitchen backsplash gives the chic and luxury looks for your kitchen. The stunning shapes of this diamond are really incredible! The diamond shapes like this give the attention to your kitchen style. The simple pattern of squares shape for the backsplash kitchen gives the cosy atmosphere! The pattern like this is very suitable for every style in your kitchen. It gives natural looks as well, it gives the extra contrast of pattern to the wall. Even the traditional style of your kitchen can look absolutely amazing with this pattern. The mosaic pattern is absolutely everything to gives the eye-catching looks to your kitchen! It is very stylish and up to date. The pattern like this does not only bring the contemporary looks, it also brings your mood every time you enter your kitchen area. The pattern like this is definitely suitable for chic and minimalist style for your kitchen. Choose this style to complete the style that you are looking for! The arrangement of the rectangle pattern like this is always contrasting the plain wall. This herringbone pattern is suitable for your minimalist kitchen styles to gives the attention to it. The famous pattern like this is definitely can boost your mood! The mosaic pattern indeed brings the chic looks to your lovely kitchen, however, the tiny pattern like this definitely makes your kitchen looks elegant at the same time since it looks glowing from far away! 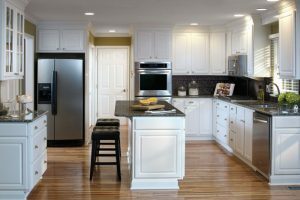 It’s adding the prettier looks to your kitchen style. Well, it is not made of gold of course but to have the look like this, you can just combine the stainless steal with other material like metal. 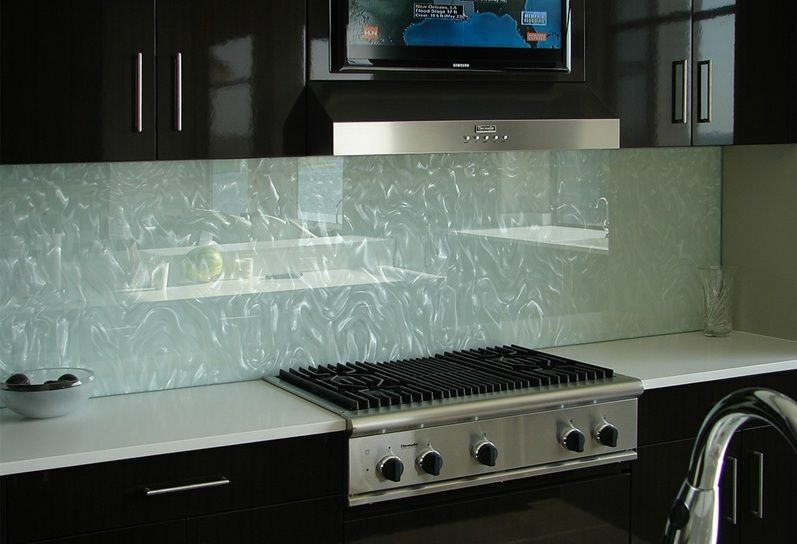 The look of this backsplash gives the extraordinary eye-catching to your kitchen. It blends nicely with the wood accent from it. 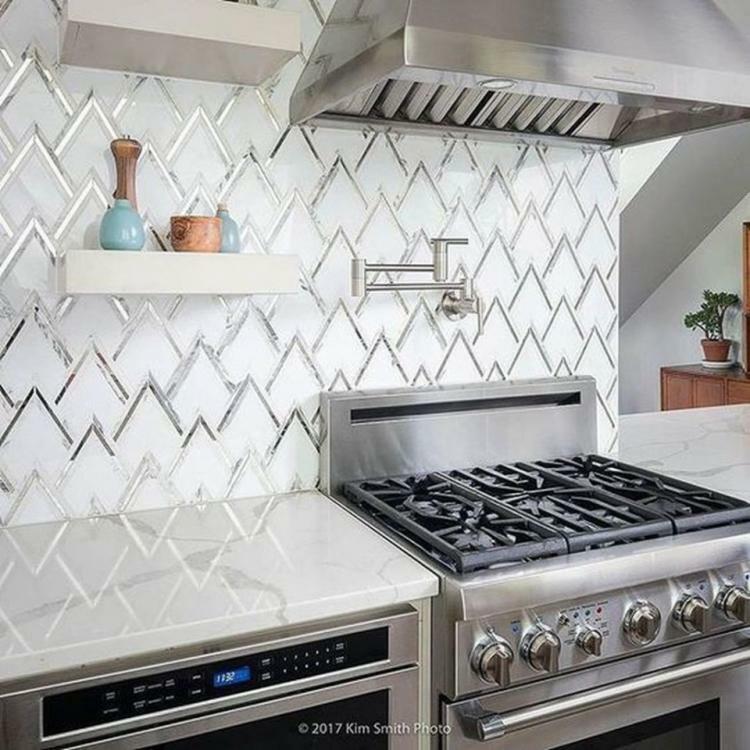 If you are looking for a unique pattern for your backsplash kitchen, this pattern is definitely the one! The beautiful pattern like this gives a stylish and adorable eye-catching style to your kitchen. It gives personality to the minimalist kitchen.